Bill Walsh, Joe Gibbs, and Bill Parcells dominated what may go down as the greatest decade in pro football history, leading their teams to a combined eight championships and developing some of the most gifted players of all time in the process. 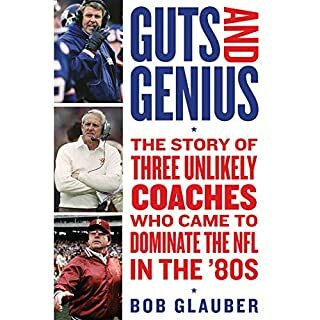 In interviews with more than 150 players, coaches, family members and friends, Guts and Genius digs into the careers of three men who overcame their own insecurities and doubts to build Hall of Fame legacies that transformed their generation and continue to impact today's NFL. Seventeen-year-old Frank Baker is a golfing sensation. He’s set to earn a full-ride scholarship to play at the university of his choice, but his single dad wants him to skip college and turn pro - golf has taken its toll on the family bank account, and his dad is eager to start cashing in on his son’s prowess. Frank knows he isn’t ready for life on the pro tour - regardless of the potential riches - so his swing coach enlists a professional golfer turned journalist to be Frank’s secret adviser. 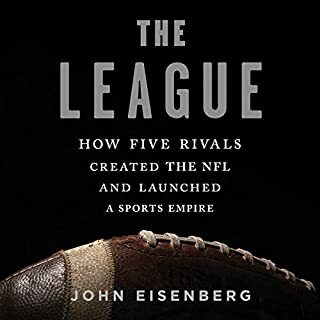 In the mighty National Football League, one player becomes the face of a franchise, one player receives all the accolades and all the blame, and one player's hand will guide the rise or fall of an entire team's season - and the dreams of millions of fans. There are 32 starting quarterbacks in the NFL on any given Sunday, and their lives are built around pressure, stardom, and incredible talent. 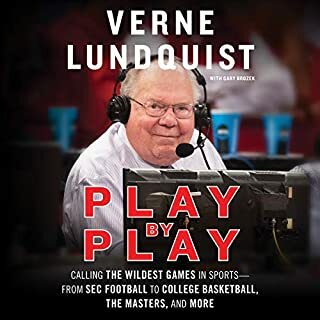 Legendary best-selling sportswriter John Feinstein, in his most insightful book yet, shows listeners what it's really like to play the glory position and to live that life - mapping out a journey that runs from college stardom to the NFL draft to taking command of the huddle and marching a team down the field with a nation of fans cheering. Feinstein builds his profile around five NFL starting quarterbacks - Alex Smith, Andrew Luck, Joe Flacco, Ryan Fitzpatrick, and Doug Williams. With incredible inside access, we get the full quarterback experience...being drafted number-one overall, pushing through grueling injuries, winning Super Bowls, being named a starter on multiple teams, being the first African American QB to lead a franchise to a title. Feinstein shows us exactly what it's like in the locker room, huddle, heat of battle, and press conferences, through spectacular moments and embarrassing defeats. 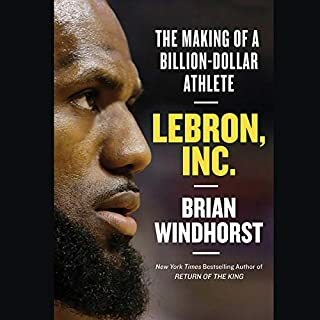 He explores the controversies of a league embroiled in questions of substance abuse and racism, TV revenue, corporate greed, and the value placed on player health. In the end, Feinstein addresses the ways in which each quarterback - some just a year out of college - is handed the keys to a franchise worth billions of dollars and how each team's fortunes ride directly on the shoulders of its QB. This is Feinstein's most fascinating behind-the-scenes audiobook. I do not mean to disparage Mr. Feinstein. It's clear he's a great historian of the game did in fact provide a lot of very interesting tidbits about the game of football. 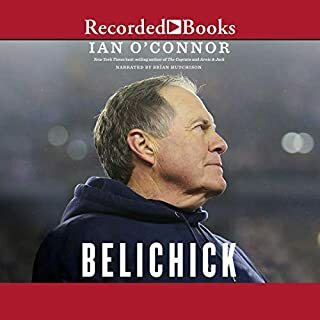 The only issue is that apart from some interesting quotes by the quarterbacks interviewed, and a very interesting chapter on the career of the very first black superbowl winning quarterback, the book falls short of it's promise. It's bogged down by formulaic recaps of every game in each quarterback's career while providing very little insight other than repetitive clichéd phrases on how the quarterback takes the glory and the blame for the triumphs and lows of the team. Truthfully if you've watched games by these quarterbacks and have seen any interview then there is almost no new information here for those curious. I was drawn in by the promise of gaining insight into the position. However I had to stop reading from boredom since I couldn't take having games and seasons I had already watched dryly recapped with the same zest as a BBC anchor covering international news of the day. These recaps are broken up by meandering tangents that never led to a great insight or provided any information of value. It occurs to me that perhaps Mr. Feinstein's mistake was choosing quarterbacks that are still playing in the league. These men have many reasons to be as guarded and protective of their inner machinations as they can be. They don't want to be put at a competitive disadvantage by opening themselves up in a book that will be out and read while their careers are still in swing. Perhaps this is why the most brilliant and palatable parts of the book were when the author focused on Doug Williams. Who was open, honest, and refreshing. With his other subjects not providing anything of value perhaps the author then sought to fill out the needed content with painstaking summaries of each season. I hope that Mr. Feinstein revisits this subject some day. With the intention of providing subjects that are not afraid to really distill why only a very selective amount of people on this planet can play well enough to not get benched. I agree with a lot of other reviewers. I enjoy John Feinstein but it seems like they rushed this book through editing to get it out in time for football season. There are way too many details, ramblings, and repetitions. The book should have been about 1/2 as long. Couldn't get all the way through it. This book does not take you inside of the QB mindset. IT is a play by play review of games. Not what QB's are thinking. Go back and read some box scores. I really cannot believe this even made it past the publisher. This book could have been so much better. It is not terrible if you like hearing play by play of a bunch of old games that you may or may not have ever watched but it is not about the inside of QB's. I would skip this book there are so many other good football books. This is an interesting compilation of conversations with a diverse mix of five quarterbacks - four current and one from the 1980s. Feinstein spent considerable time with each, discussing their thoughts on playing the position, managing expectations, assuming a leadership role in the huddle and locker room, balancing work and life, adjusting to the highs and lows of victories and defeats, and managing a career. The book falls short in several critical areas. First, there's a lot more conversation than analysis. The author doesn't focus enough on common themes and differences. And he didn't appear to interview many others - head coaches, position coaches, front-office guys, teammates, etc. - to provide additional perspective on players (though he did rely on some media reports, as I recall). Second, he bounces from quarterback to quarterback and present to past. It's not easy to follow the flow of the book in the audio format. Third, he repeats a lot of information two or three times during the course of the book - like details of key games and seasons. It's not as though two of the quarterbacks were part of the same event. He just repeats certain details 50 or 100 pages later when profiling a particular quarterback. Fourth, the book contains some inaccuracies that the author or an experience editor should have caught. Mike Gillislee wasn't a rookie in his first year as a Patriot; he had played multiple seasons with two other AFC East rivals. The Patriots didn't receive a third-round pick from the Colts in the trade for Jacoby Brissett; they received receiver Philip Dorsett (a second reference to the trade was correct). The Texans' head coach is Bill O'Brien, not Tom O'Brien. And there were at least two other similar errors that I noticed just from listening - not researching other statements in the book. On the plus side, I continued listening. I learned some things. I have a greater appreciation of Alex Smith, Kirk Cousins, Ryan Fitzpatrick, Joe Flacco, and Doug Williams (though he plays a minor supporting role to the four others). And the author/reader has a very deliberate speaking style and cadence. This is the first book that I could play easily at 1.5X speed. Usually I can do only 1.25X. I wish I could give about a 3.5, or even the 3.7 average at the time I write. I don't want to diss Feinstein because it's a good book. It could have been more thorough and a little more accurate. This is an 80/20 book as in 80% of the book was stuff I already knew and 20% was stuff I never knew. I knew about all of these seasonal recaps, particularly the one most chronicled throughout the book (2017), and how quarterbacks have to say the right things and accept the blame for the team’s losses and mistakes even if they can be exempted. I also know that the quarterback draft and acquisition process is loaded with misses despite all the money spent and largely racially biased against black quarterbacks. Feinstein tried too hard to prove that there’s a racist double standard against black quarterbacks by painting the Shanahans as racist against Donovan McNabb when McNabb threw his career away in Washington and Minnesota and was irresponsible for mistakes in Philadelphia such as not knowing the overtime rules. Feinstein seems to imply that Daniel Snyder is an administrative racist by not only funding Donald Drumpf’s inauguration but only giving GM titles to white men like Scot McCloughan while never giving them to black men like Doug Williams, a man who was not only the first ever African-American quarterback to win a Super Bowl and the game’s MVP award but has the same duties like a typical GM. He is also correct about the “athlete” term used on draft-eligible black quarterbacks as it is meant to imply that they’re not smart enough to play quarterback and was applied to Dak Prescott and Lamar Jackson. After all, it’s not applied to Andrew Luck, Ryan Tannehill, or Jake Locker. In fact, almost no white athlete quarterback is asked to change positions like Lamar Jackson, a short guy at 6’3” according to Bill Polian. Quarterback promised so much, "inside the most position in the NFL" but delivered so little. 80% of it is Feinstein recapping games from the 2017 season. If you had a DVR, you could do the same thing. Whenever he does get to something you couldn't get by watching TV, he barely touches it. For instance, the Ravens' QB Joe Flacco, one of the 5 quarterbacks he interviewed for the book, was in the Pro Bowl following the regular season. It would have been nice to know things Joe could tell us. Is there a game plan? Do they coach them to tackle easier? What do they get paid for it? Nah, all we learn is that Joe went to Disney World. Thanks, John. Feinstein never fails to make digs at Trump and anyone else he considers conservative. John, we get it. You are a liberal, but why slide that into a sports book? Sports is one of the few aspects of American life that people of all colors, creeds, and political persuasions can enjoy together so why would Feinstein try to screw that up? Leave your effete politics at home with your buddies next book, how about? Finally, the narration is horrible. Feinstein has pauses in the wrong places and accents the wrong syllable throughout. He reads it as if it was the first time he ever saw the material. I suggest getting a professional next time, but who asked me? 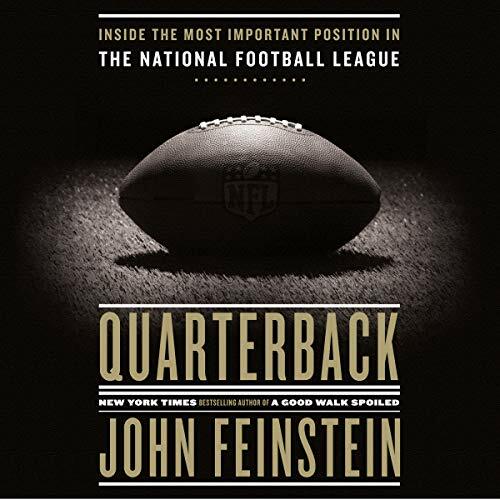 I've read most of John Feinstein's books and Quarterback is the most disappointing.. Next. This book is like a middle school book review where the student writes a synopsis of the book instead of making any kind of critical analysis of the plot. The author spends over half the book recapping games over the last few seasons. For anyone who actively follows the nfl, this is all boring and uninteresting. I sought out this book because I thought I’d learn some insights about what it takes to be a successful quarterback in the nfl due to the authors efforts in uncovering under the radar insights. Instead the author spends all his time breaking down game recaps and comes back to an obvious theme of “the qb gets all the credit and all the blame” and that’s about it. I heard about the book when the author was promoting it on an Indianapolis morning radio show. Feinstein had a great back and forth with the hosts and prompted me to buy the book. The first few chapters of the book were able to keep me listening as intently as I was during the radio broadcast. However, the author repeats quotes from players and coaches and apparently loves the phrase, 'would prove to be a harbinger'. This book gets off to a strong start by delving into the lives of 5 different NFL quarterbacks giving the listener a behind the scenes look but quickly devolves into box scores of the 2017 NFL season. Very insightful. I am a John Feinstein fan and he delivers another winner with this book! I am a big fan of John Feinstein but this was not his best. I was looking forward to this book but was very disappointed. There was too many quarterbacks in the group and none the top five in the league. I would have preferred he limited it to just two like he did with pitchers in Living On The Black. Seemed to bounce around both with teams, players, and time way too much. Also, he repeated stories and facts often. Felt like there was no editing done on this book and it was just rushed to get it out before the end of the NFL season. 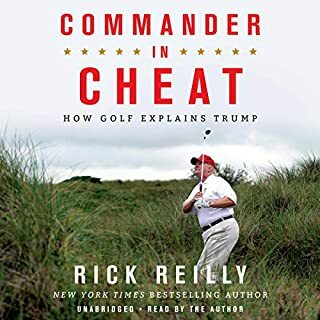 Can’t wait for his next book but this was not one of his better books. Not what I expected at all. I was hoping for some quality QB comparisons/ analysis and history. Instead it was a blow by blow account of the 2017 season with the odd bit of historical reference to QB of previous generations. I was extremely disappointed by it. Whilst it does offer the odd bit of information here and there that I wasn’t aware of, there are glaring errors too - the name of the Texans Head Coach for example. Overall I wouldn’t recommend to anyone unless you wanted a team by team list of games of the 2017 NFL season.